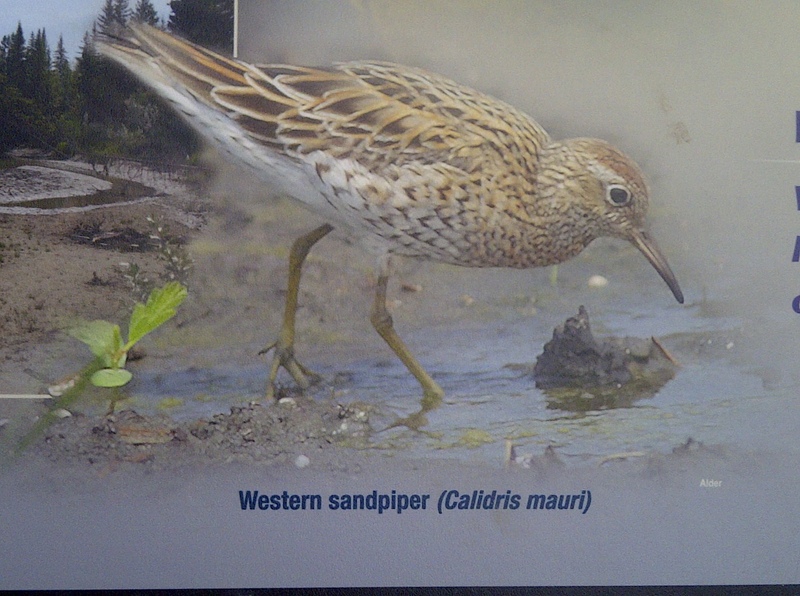 A Victoria Birder: O Chicken, Where Art Thou? O Chicken, Where Art Thou? This is post number two, so if you haven`t read the first one already, scroll down before reading this one! 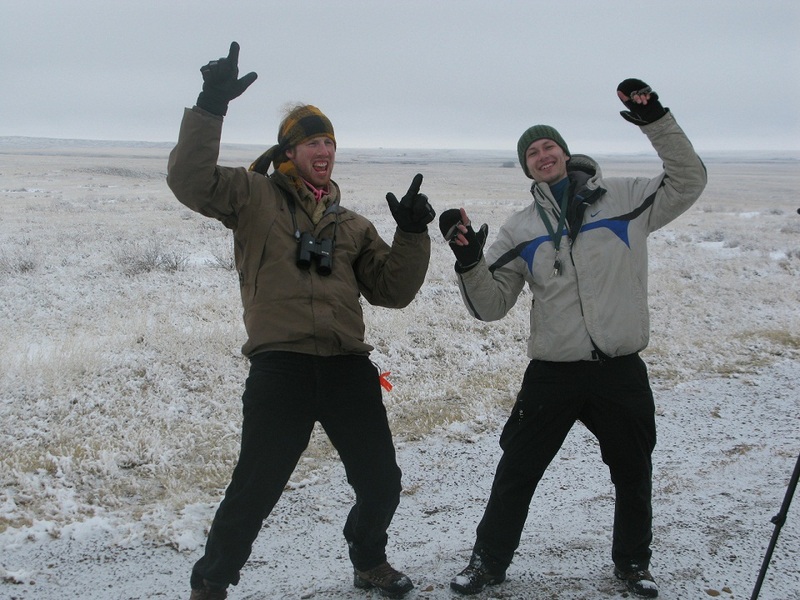 I had left off where our intrepid birders (myself, Russell Cannings, and Ilya Povalyaev) had just twitched a Barred Owl, which apparently is a rare sight within Calgary limits, and indeed in many parts of Alberta. To give a bit more background, we had ventured east in the hopes of tracking down the elusive and critically endangered Greater Sage-Grouse, once numerous in Canada and now limited to less than 100 individuals in Alberta and Saskatchewan. When Russ and I arrived in Alberta, we found out that our original plans to see this bird had fallen through, leaving us with two options - find our own, or head even further east to Grasslands National Park in Saskatchewan. We opted for the first and, with Ilya behind the wheel, headed south towards Medicine Hat for the night (en route to which we picked up our Alberta Barred Owl tick). 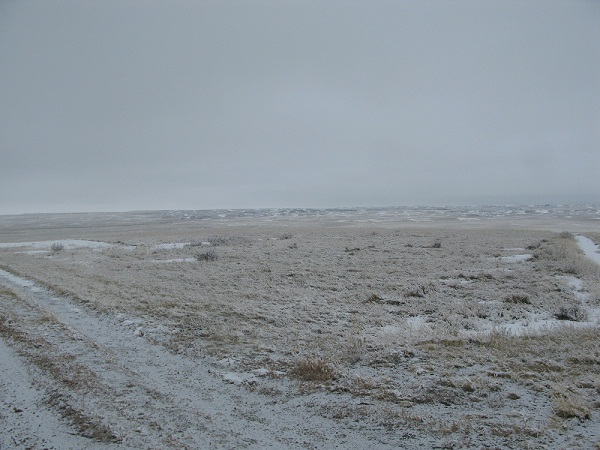 Before long, in an area I can`t recall, we found a promising expanse of grass and sage, and began scanning it in earnest, turning up Rough-legged Hawk, Nothern Harrier, and more Horned Larks. After what seemed an eternity, but was likely closer to 20 minutes, Russ called out "I have three gallinaceous birds, they may be partridge", followed closely by " sh*t, they have long tails, they're SAGE GROUSE!" Indeed, Russ had located three foraging male Greater Sage-Grouse slowly working their way through the prairie about a kilometre away from us, stopping to occassionally eye each other up. We watched the birds for over an hour, savouring every look at these spectacular grouse in the cold morning air. Eventually, the birds disappeared from view, and we aimed south, where we hoped to find a couple of other, albeit less tricky, targets. The first came very quickly, as we rounded a bend to find a large hawk on a fencepost, our first Ferruginous Hawk of the day. Another kilometre or so down the road, and Ilya pulled over to check a small passerine that had flown across the road. We never refound the mystery bird, but Ilya spotted a Sharp-tailed Grouse instead, again the first of many for the day. All of our targets neatly located before 9am, we headed north to Elkwater and Cypress Hills Park (an Inter-Provincial Park, or so the sign says). 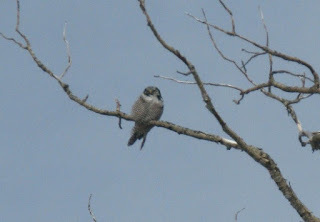 Along the way, we stopped to check our various flocks, and such lucked into a surprise bird. We had been scanning a large flock of Common Redpolls along a road, when Russ and I noticed a very pale bird among them, which stood out and then flew, giving even more looks. Not only was this my first Hoary Redpoll, it was only Russ's third, (having seen his first two only days previous) and a great bird for southern Alberta! On our way into Elkwater, we turned up three Snowy Owls fairly close to one another on telephone poles, a nice addition to the one from the previous day. Cypress Hills was quiet, but the restaurant at Elkwater sure makes a great burger! From Elkwater we worked our way north, finding three more Snowy Owls near Brooks, plus more Sharp-tailed Grouse, a small flock of Greater White-fronted Geese, and others. 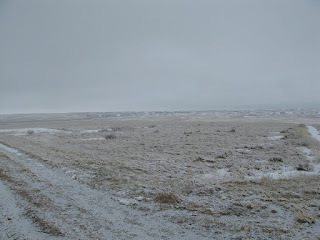 Back in Calgary, we checked a hotspot for Prairie Falcon, with no luck in the fading light and low cloud. After a celebratory dinner at Boston Pizza, we headed to Weaselhead Park, and Russ quickly called up a Northern Saw-whet Owl to end the day. The plan for the next morning was to head for Penticton but first, some birding. Back at Inglewood Sanctuary, we again were treated to looks at the Lesser Black-backed Gull that we had found two days previous, plus brief glimpses of an adult Glaucous Gull. There had been a report the previous day of a Snow Goose and Ross' Goose in the area, but neither were present during our time along the Bow. From there we headed slightly upriver to Pearce Park, where we found two adult Glaucous Gulls lounging along the river. The fields at 51st and 68th didn't disappoint on this day, and we quickly found the Harris's Sparrow that we had previously missed, though a trek back to the Prairie Falcon spot let us down again. We had no trouble locating a Great Horned Owl nest in its usual spot in a certain city park, the male an impressive, pale member of the arctic subspecies. From there our last Calgary stop was Weaselhead Park once again, this time in search of two finches. Pine Grosbeak entertained us in small numbers, being very approachable and very vocal. My main target, White-winged Crossbill, proved more elusive, as we heard only a single individual and saw it not. At Weaselhead Ilya showed us this sign, can you spot the problem? After saying our goodbyes to Ilya, we carried on to the Grand Valley area north of Cochrane, where we were treated to great views of a perched Northern Hawk-Owl, while I spotted its mate peaking out of a cavity in a tree, its nest. Lastly, a stop in Lake Lousie yielded Clark's Nutcracker and Boreal Chickadee, the former a trip bird and the latter a much wanted Canadian bird for me. To cap off the day, we found ourselves briefly stopping in Revelstoke at 10pm or so, where we enjoyed home-cooked chicken curry and some great company (thanks Kait!) before heading down the home stretch to Penticton. To have such a great few days in Alberta, with great company and great birds, is unforgettable. We had the privilege of lucking into 3 of the perhaps 10 male Greater Sage-Grouse left in the wild in Alberta, finding what may be the 10th or 12th provincial record of Lesser Black-backed Gull, seeing the second provincial record of Red-bellied Woodpecker, and connecting with many other great birds. Russ and I ended the Alberta portion of our trip with a little over 80 species, and some great memories! I still had two full days of birding ahead of me before bussing back to Victoria, but that is a story for tomorrow, and post number three. I'm glad you had such a great time in Alberta. Congratulations on seeing 10 Greater-Sage Grouse and other great birds, and I can't wait for your birding adventures part three!